Devonshire Tea • Wonderful Things Blog • Win an Afternoon Tea Hamper! Win an Afternoon Tea Hamper! 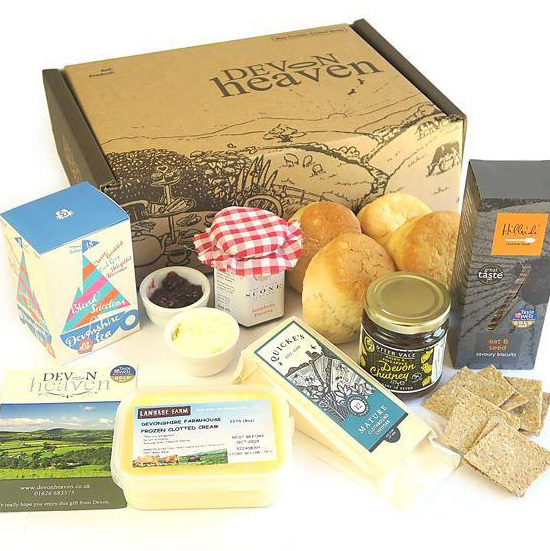 To celebrate Afternoon Tea Week we're giving away a wonderful Afternoon Tea Hamper from our friends at Devon Heaven. The hamper contains everything you need for a classic Devonshire Cream Tea at home: award-winning scones and strawberry preserve from the Devon Scone Company, real Devon clotted cream from Langage Farm, and a box of our Blend Selection of teas. Also included is some traditional clothbound Devon cheddar from Quicke's, savoury biscuits from Hillside, and chutney from Otter Vale. To be in with a chance of winning this wonderful hamper, just visit our competition page and answer the question correctly — good luck!